 Our range includes extreme performance axes for every size and purpose. 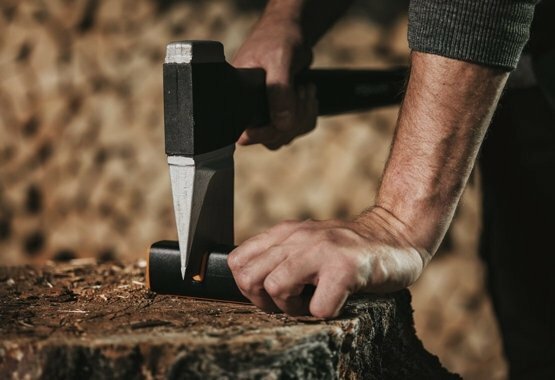 Whether you’re felling trees, whipping up some kindling, chopping logs or splitting, you’ll get more done faster with these devastatingly powerful tools. Here you can find our tips on how to choose the best axe for you. 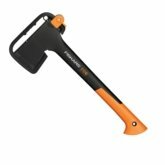 When choosing an axe, the first question is whether you want to split bigger or smaller pieces of wood. 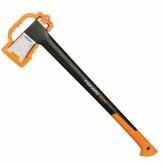 Splitting axe blades are typically heavier, best for splitting large and medium size logs. Longer shafts give more speed and power. 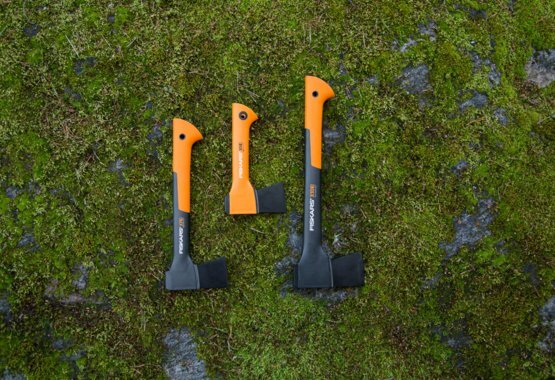 Fiskars axes are designed to have great balance, giving you more precision and perfect control for your splitting axe. 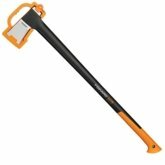 Universal axe blades are slightly lighter and smaller, optimised for small to medium size logs, as well as making smaller pieces of wood for starting a fire. 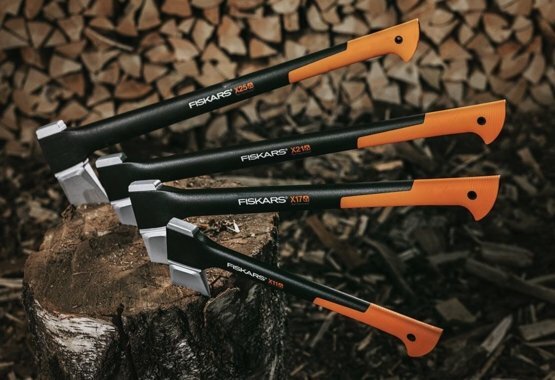 These axes are also great for trekking and camping. 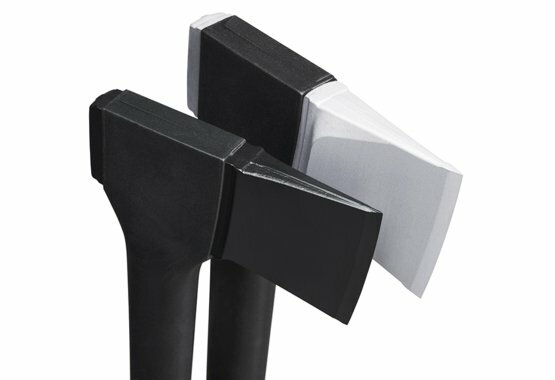 Splitting axes have blades that are typically larger and recognisable from a definite wedge shape or bulge. 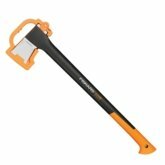 Fiskars has highly optimized design and shapes to give more one-strike splits. 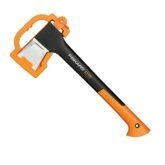 Universal axes have blades that are slightly lighter and smaller, optimised for working with smaller logs as well as for making kindling. More experienced users can choose the recommended size or slightly bigger axe. 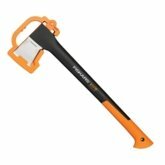 Less experienced users typically prefer the recommended size or somewhat smaller axe. Check our guidance video to learn how you can find the best axe for you. See our splitting axes below. 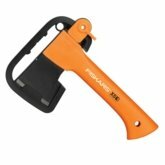 For cutting smaller pieces of wood, you can choose any of the smaller axes. 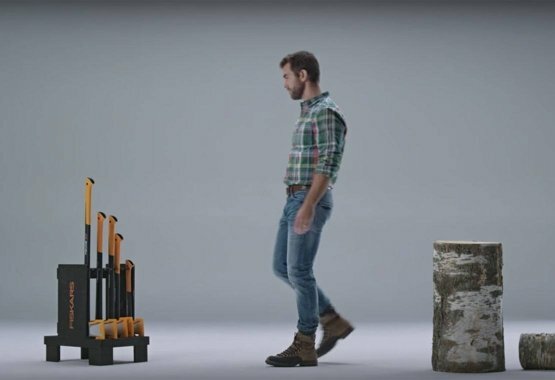 The X5 is optimised for portability while X7 and X10 are the all-around axes for making smaller wood. 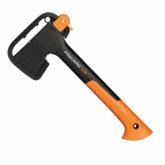 All these axes are also great for trekking and camping. 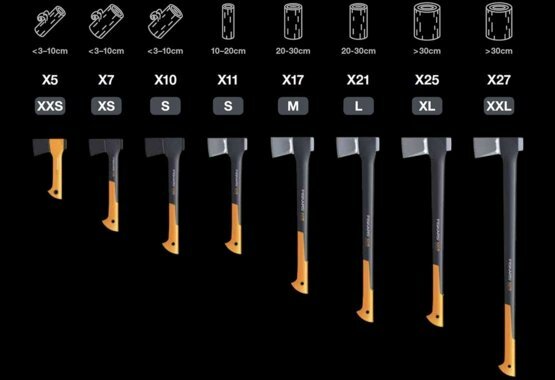 See our smaller axes below.